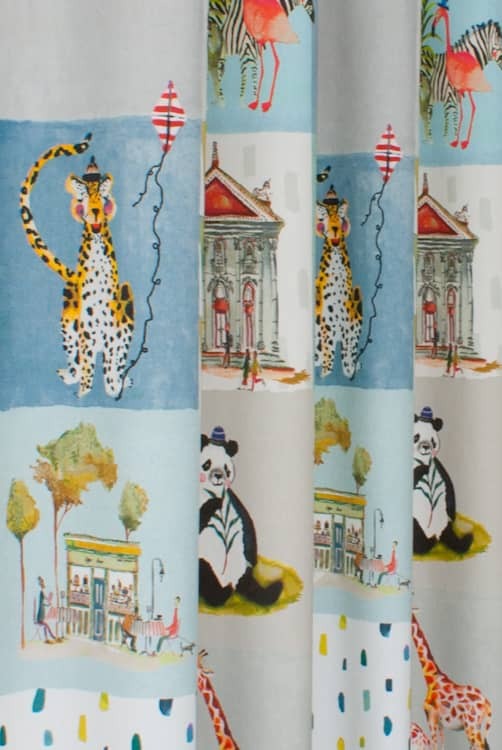 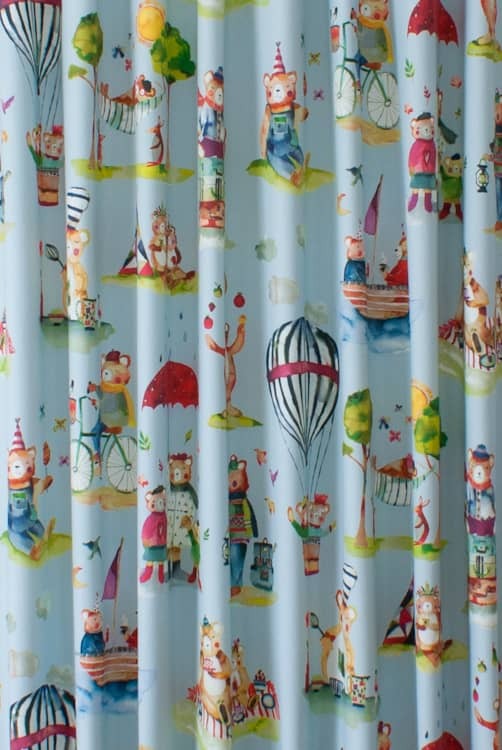 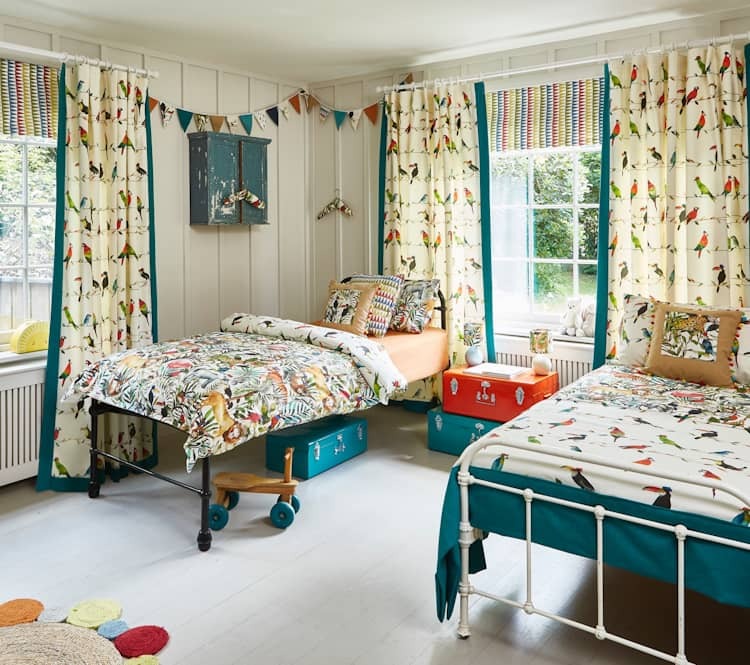 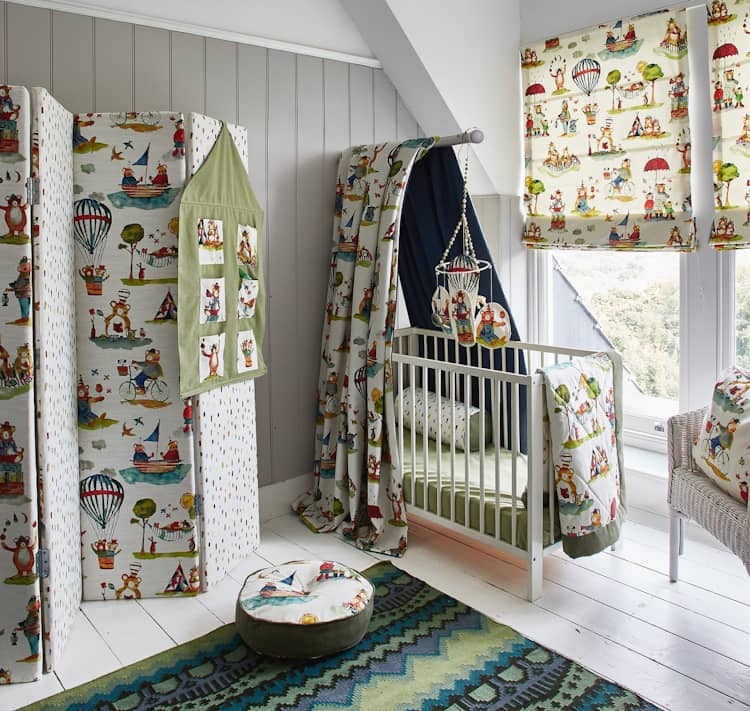 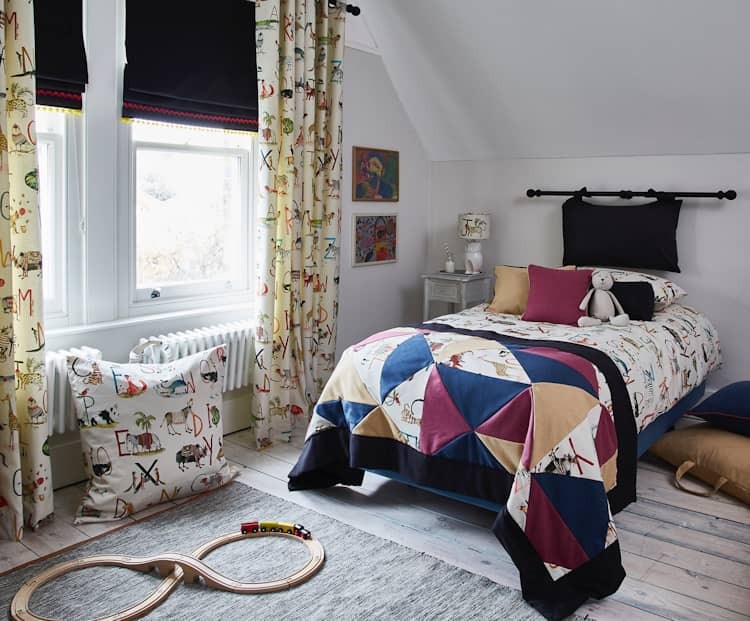 The Prestigious Textiles My World Collection is playful, characterful and even a little bit daring! 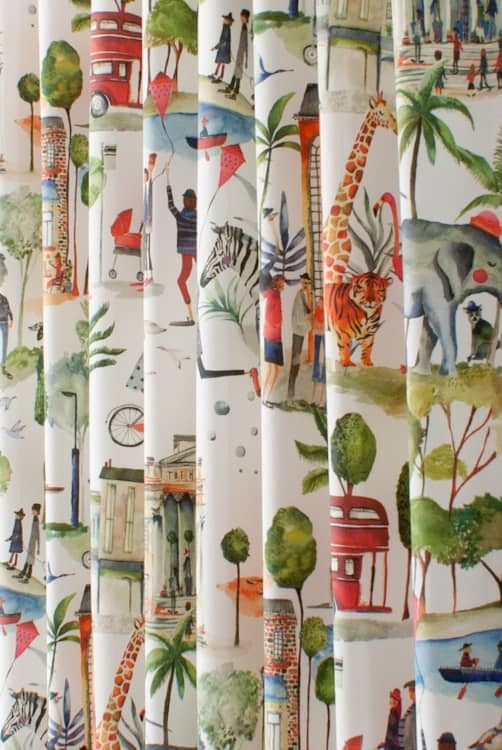 Nine lively prints illustrate adventurous themes for boys and girls of all ages - jungle scenes, zoo adventures, thrilling days out, world maps and much more. 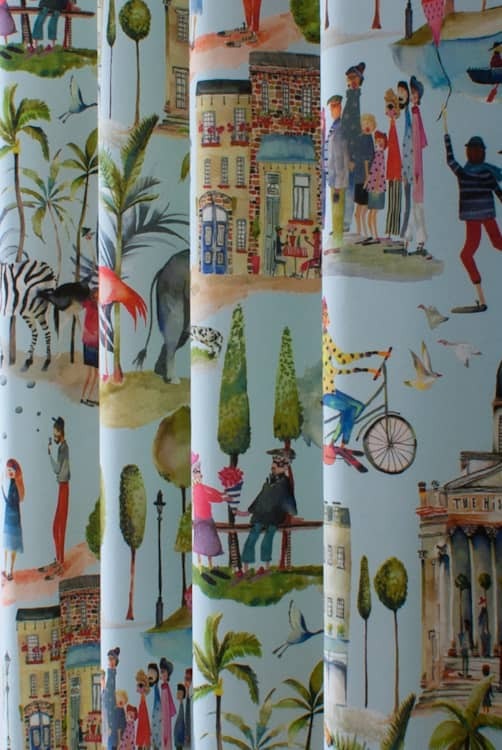 Stories are told through hand-painted motifs flooded with colour. 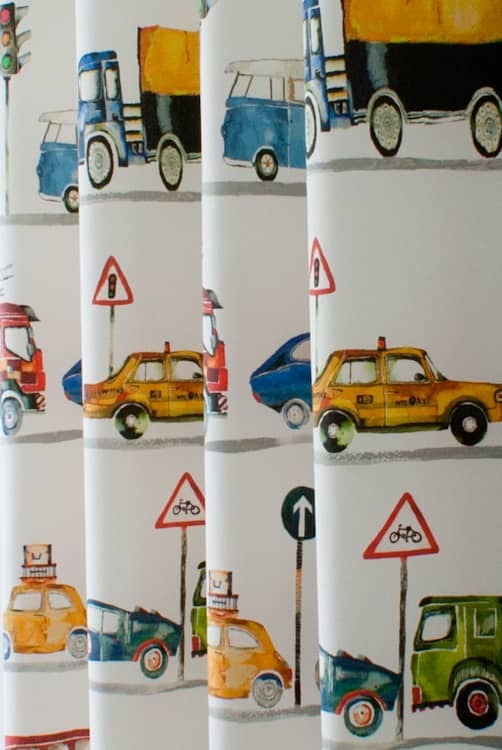 On the Road features a stream of traffic including tractors, buses, taxis and sports cars. 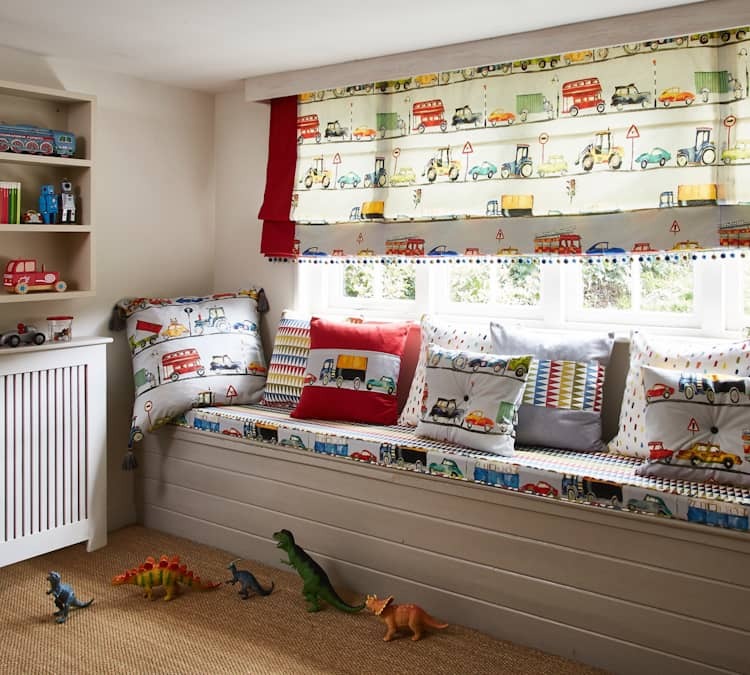 Ideal for the vehicle loving little one in your life. 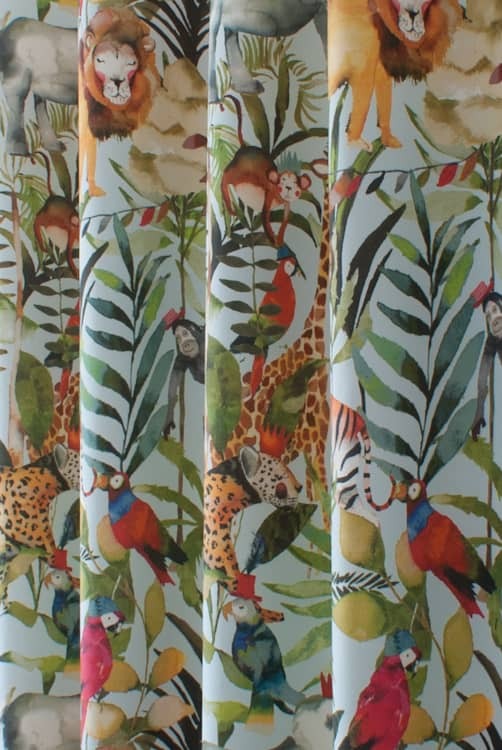 The colourful beauty of the jungle is captured in King of the Jungle and Toucan Talk. 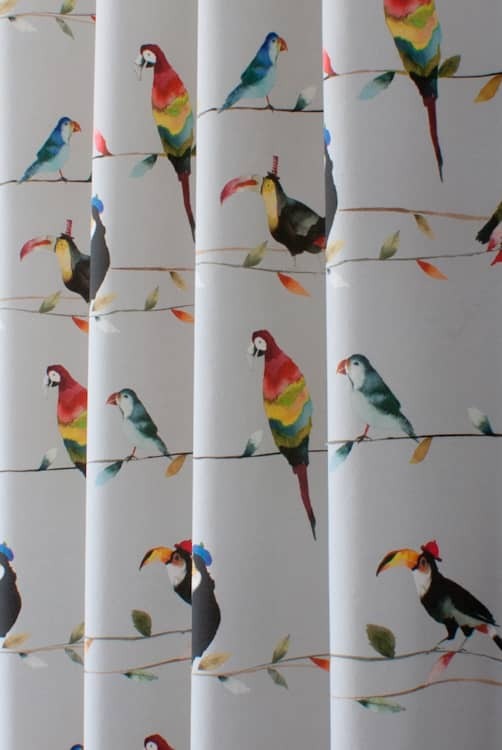 Toucans and parrots sporting top hats; lions, flamingos and sloths wearing party hats are sure to stimulate the imagination of any child. 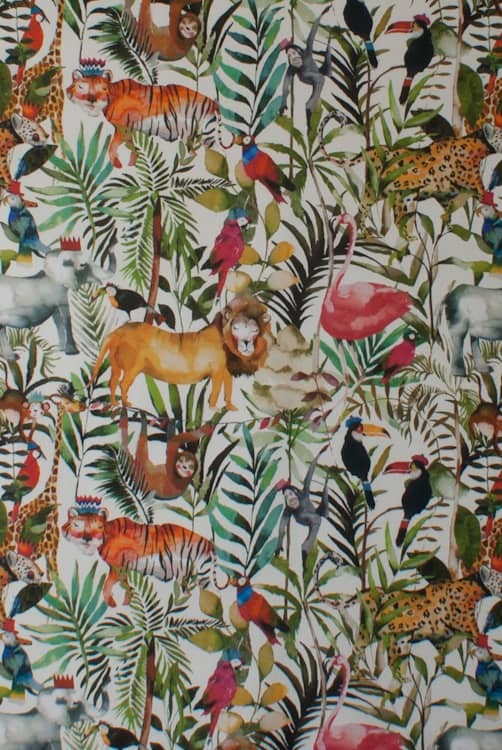 Party in the Jungle with King of the Jungle! 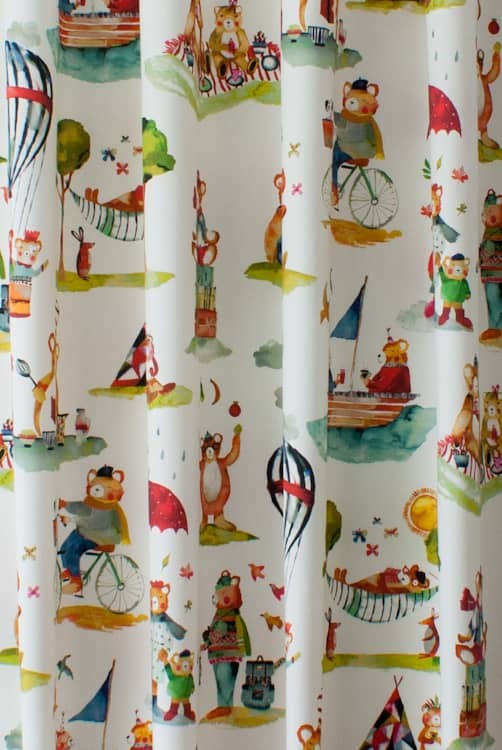 Designed to appeal to younger children, Little Bear features a colourful gang of bears enjoying a sailing, cycling and hot air ballooning! 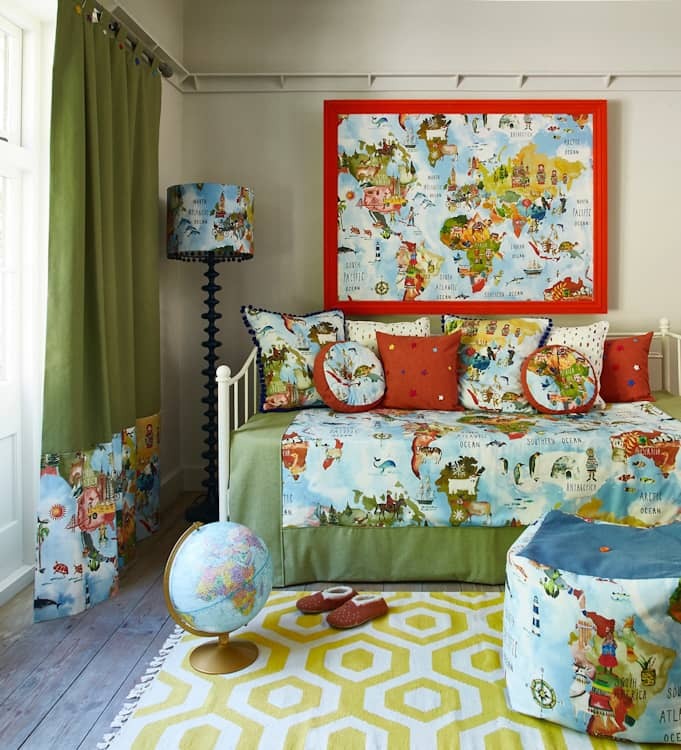 The fabric design Adventure will open young minds to the diversity and cultural richness around the world. 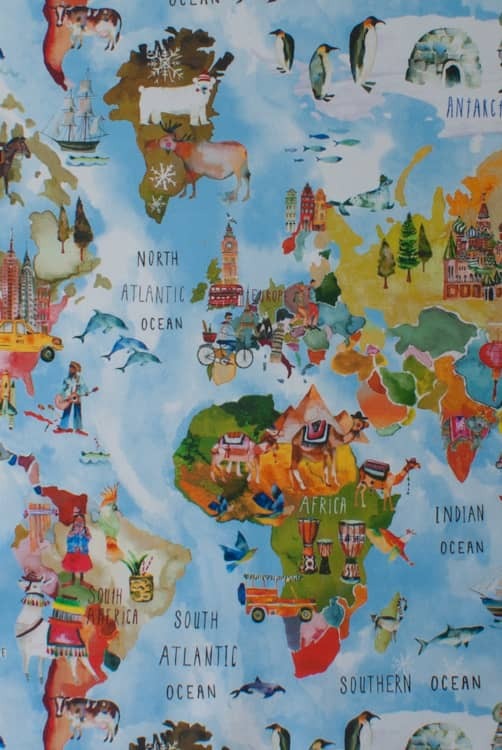 A world map featuring camels, polar bears and penguins encourages dreams of travel. 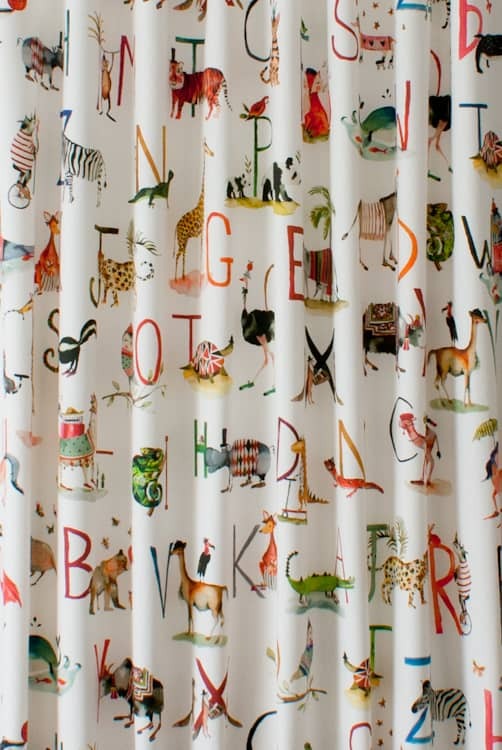 Animal Alphabet features an illuminated alphabet with scooter riding dinosaurs and jumper wearing hippos and tigers. 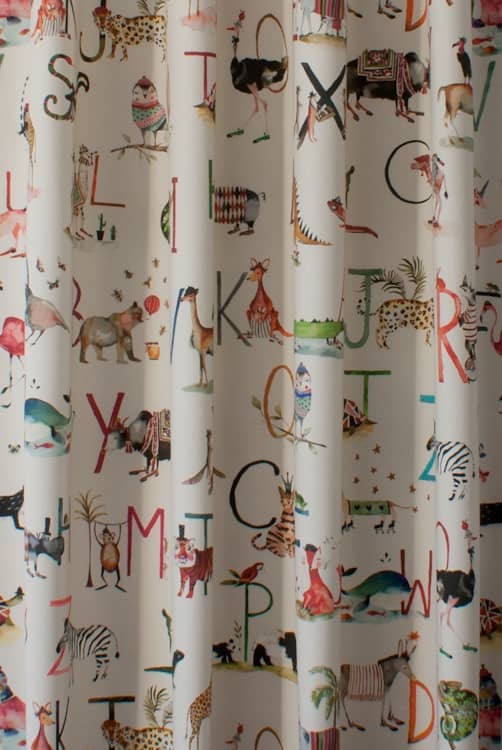 This fabric will make learning the alphabet effortless and fun. 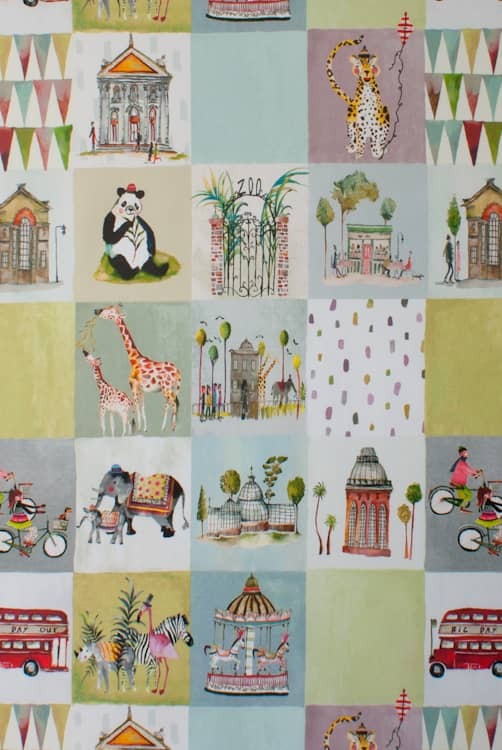 Day Out and Out and About both celebrate family days out with scenes depicting zoo and fairground visits, museums and bus rides and kite flying. 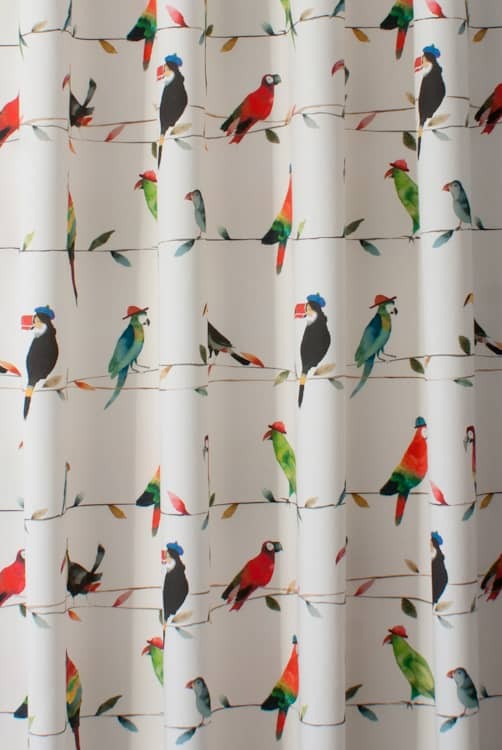 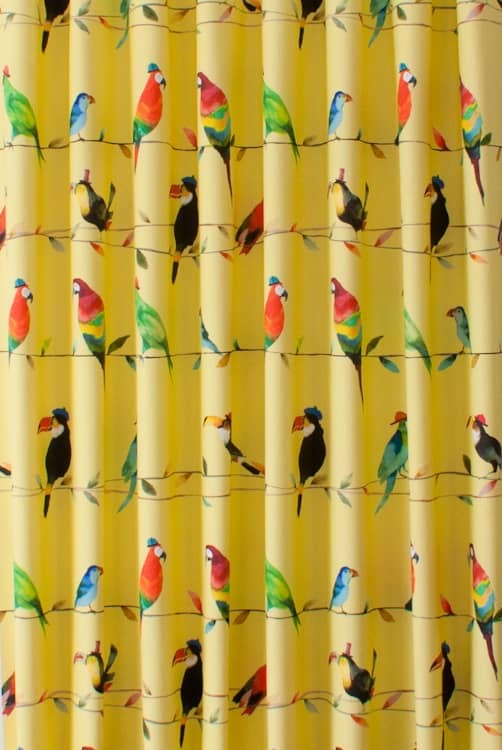 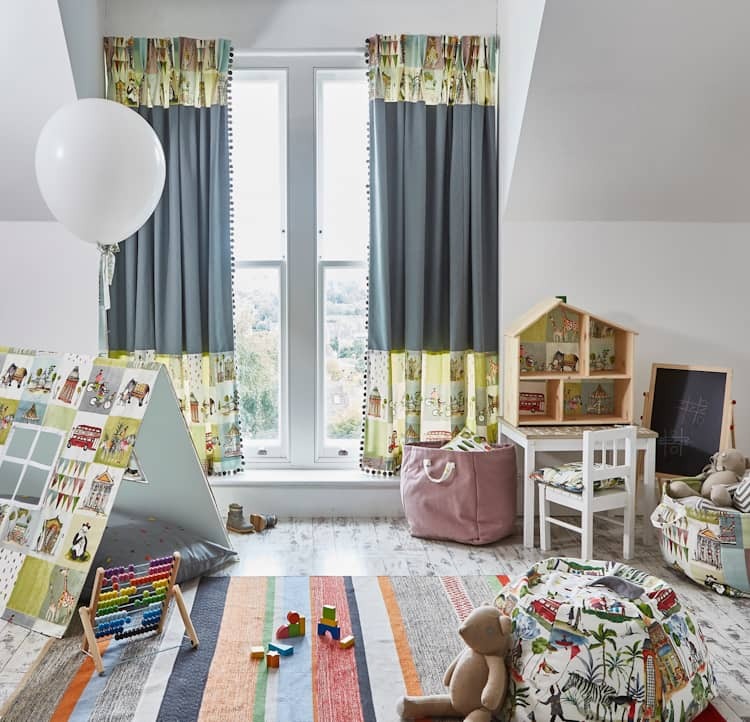 All fabrics are available by the metre or made up into roman blinds, cushions and curtains. 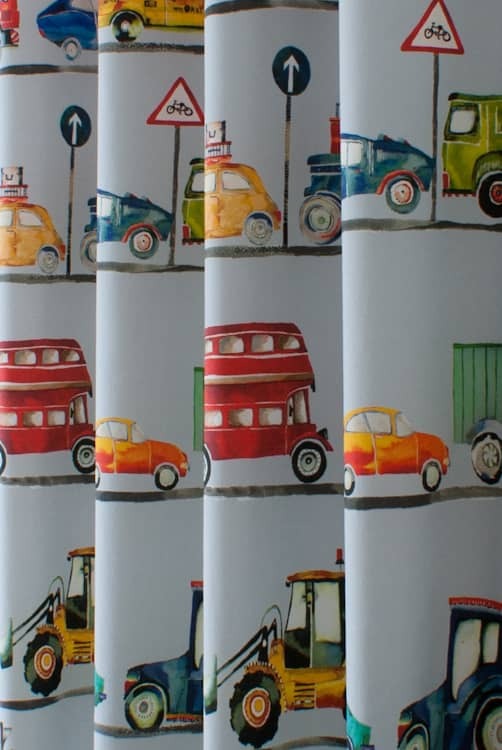 Each fabric is digitally printed to allow a greater range of vibrant colours to be used.